There are many different retailers out there at the moment and, with retail being a huge industry, it has been able to make accessibility of products for customers almost effortless. You’ll want to make sure that you’re getting value for money on long-lasting quality clothing, appliances, and other household items, as it’s not necessarily something you want to be buying all the time. 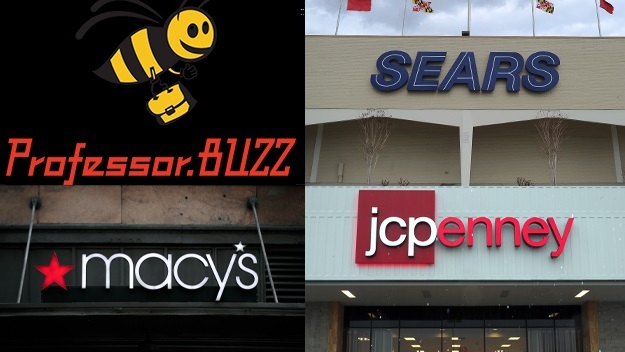 Today, we’ll be looking at three significant, US-based retailers; JCPenney, Macy’s, and Sears, to see how they compare to each other and what it is that’s unique about each of them. The extensive ranges of these retailers are impressive, with all of them selling thousands of products. Macy’s is more of a fashion-orientated retailer, regularly releasing new lines of reasonably priced clothing, which indicates they are more specialist in this particular area when compared to JCPenney and Sears. If you were looking for home goods, such as electronics, kitchenware, and garden equipment, you’d want to consider JCPenney and Sears, as they both have a vast array of quality, affordable choices for every aspect of home life. All three companies in question share one thing; the fact that they offer excellent value on thousands of products, that include some lucrative deals. JCPenney offers great offers on products worth less than $10, and those up to $100. Sear’s present customers with deals such as ‘Buy One Get One Free’ and offer free redeemable promotional codes on many products. You can also gain points from Sear’s loyalty shopping, which can be redeemed for cashback, discounts, and coupons. Macy’s also display a ‘Deals’ page on their website, showcasing seasonal sales and more promotional codes. Either way, you can definitely find a bargain on all three of these retailers’ websites. Conveniently, the three retailers all offer a free, same day in-store pickup option, meaning your product will be waiting for you when you arrive at the store. They all provide an express 1-day delivery, as well as a standard 7-day delivery for a lower price. Not only does Macy’s deliver all across the U.S, giving free delivery to certain US states with orders over $99, but they also ship to over 200 locations worldwide, which again helps if you’re not buying in the US. JCPenney has the same offer on their websites, with free delivery on orders over $99. Sears deliver to 48 states currently; offering free delivery on orders over $59, meaning they offer the best value on shipping. To conclude, we can see that JCPenney, Macy’s, and Sears can overwhelmingly supply the demand for all things retail. It’s hard to compare them all equally as they are not all entirely similar, with Macy’s focusing less on household products and equipment, and instead focusing on regular, seasonal clothing for the whole family. We know that Sears and JCPenney not only do fashion items in their catalog, but they also hold an impressive selection of products such as household items, office supplies, and even replacement parts for your car. Ultimately, you can go to any of these stores, and you’ll be able to find what you need at a great price. If you ever need to make any inquiries into your order or require assistance, all three companies have dedicated customer service helplines, including online chat rooms and 24-hour phone support.